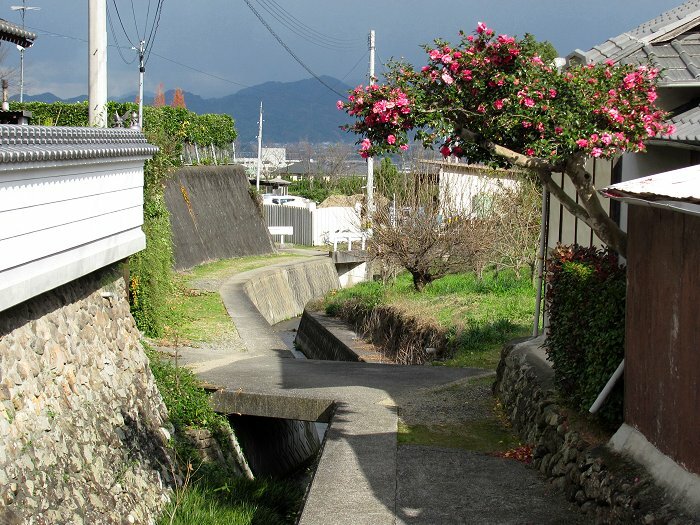 The pilgrim's route from Yasaka-ji to the next temple, Sairin-ji, passed beneath this blooming camellia just outside Yasaka-ji's main gate. 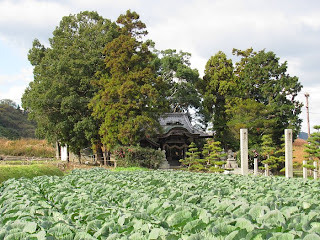 Tucked away in a copse of trees in the midst of farm fields was this lovely Shinto shrine, here seen over a field of cabbages. In addition the 88 "official" temples (fudasho) of the 88 Temple Pilgrimage there are twenty other sacred temples (bangai) along the route along with numerous other shrines. Some, like the one above, aren't even marked on the maps. 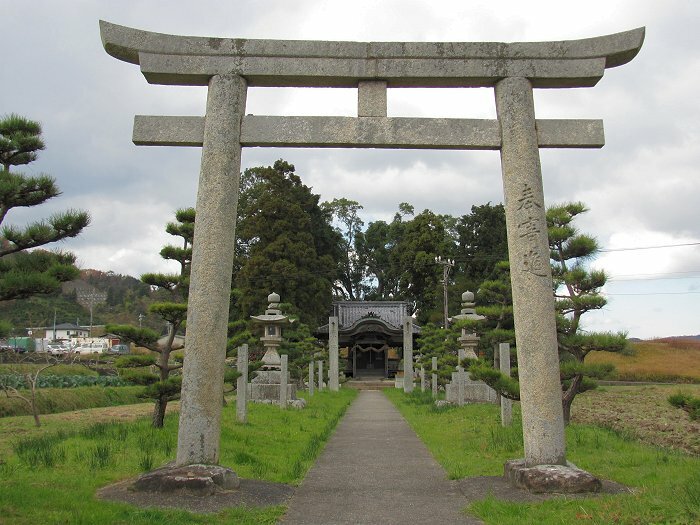 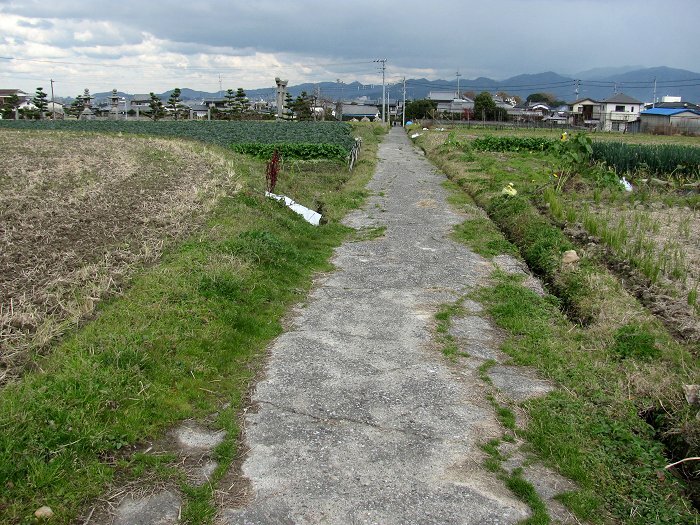 The gate (torii) to the small shrine in the fields. 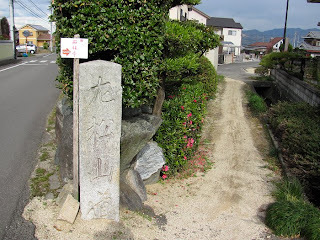 Here, a short but well-maintained segment of the pilgrim's path branches of a rural road.